Neri Colmenares, three-term Bayan Muna Representative and House Senior Deputy Minority Leader, is running for senator under the Makabayan Coalition. He has also been endorsed by Senators Grace Poe and Chiz Escudero, Nationalist People’s Coalition President and House Deputy Speaker Giorgidi Aggabao, and former President Joseph Estrada. 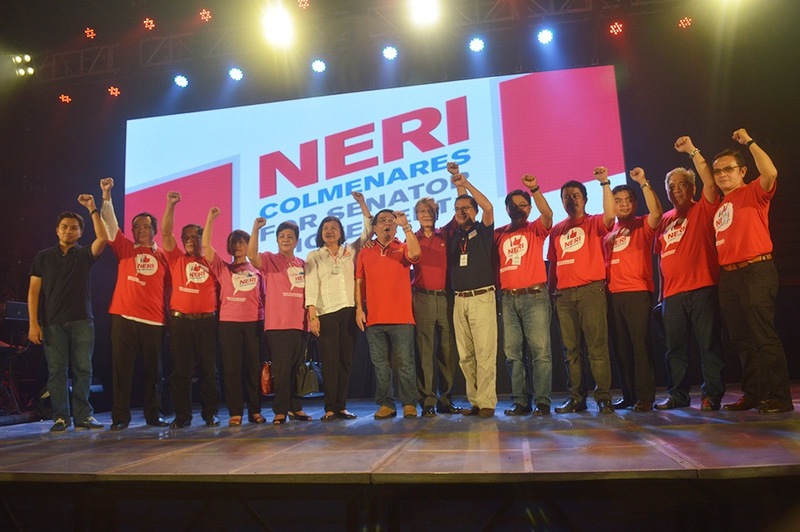 Prior to filing his certificate of candidacy, Colmenares laid out the Makabayan platform for 2016 which outlines the coalition’s point of view and plans upon election. The next government must have the correct vision and long-term plan and must have the political will to transform the nation by harnessing all the state’s resources and the people’s patriotic fervor towards building an industrialized and progressive Philippines. Solving the problems of mass poverty and raising the living standard of the people must be the foremost concern of the President, the government and the people. These problems cannot be solved by continually pursuing the same policies and programs that have failed in all previous administrations, including the current administration’s dole-out program. 1. Carry out national industrialization as the lead factor of economic development and as the key to solving unemployment, poverty and underdevelopment. 1.1. 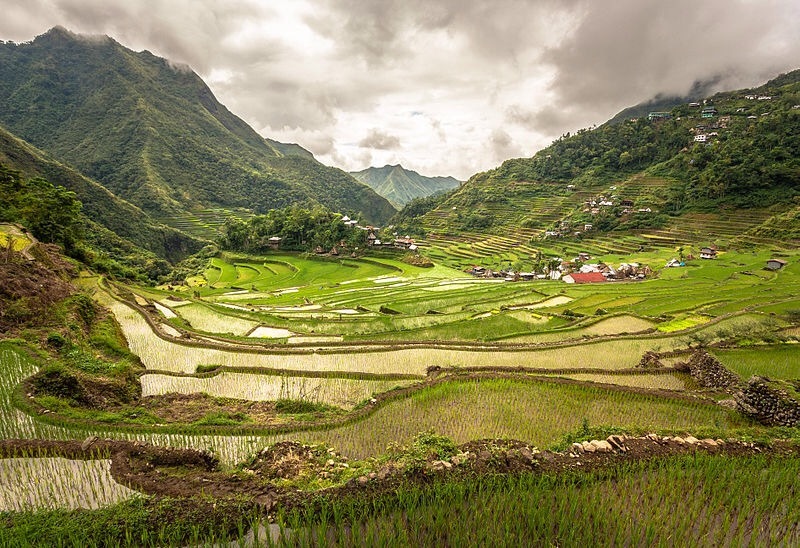 Draw up a comprehensive economic development plan centered on Filipino-controlled industrialization and agricultural modernization — in consultation with stakeholders — and harness both public and private resources and people’s participation. The state must lead, support and protect the people throughout the implementation of the program. 1.2. The economic development plan must designate heavy industry as the lead, agriculture as the foundation, and light industry as the bridge to ensure the immediate production of consumer necessities and materials and equipment needed for agricultural modernization. 1.3. Establish and develop major industries in metallurgy (basic and alloyed mineral products), energy exploration, development and generation, machine tools, precision instruments, electronics, means of transport, home appliances, construction equipment and materials, chemicals and pharmaceuticals, and so on. 1.5. Improve and develop the few types of enterprises at which we are already good, like food and beverage manufacturing, mining, quarrying, fishing, forestry, animal husbandry and construction. Provide protection against imported goods through tariff protection, import quotas and prohibitions; requiring foreign investors to use locally-produced content; and mandatory government procurement of local production. 1.6. Develop industrial technological capacity with the following: compulsory licensing; compulsory disclosure; limited duration for patents and purchase of patents; and requiring technology transfer and support. 1.7. Raise capital for industrialization from savings resulting from industrial and agricultural production, land reform compensation to big landowners and drastic reduction of import-dependent consumption. Improve the financial environment for developing industry with: cheap subsidized credit; preferential loans; tax exemptions and credits; controls on the repatriation of foreign investor profits, dividends, royalties and capital; and stricter regulation of speculative portfolio investments. 1.8. Directly support Filipino enterprises through: labor training; low-priced raw materials; subsidized utilities and infrastructure; and coordinated industrial clusters. The government can also be a direct participant through state enterprises or through direct public control of private firms. 1.9. Assist Filipino industrialists and micro, small and medium enterprises and remove excessive incentives for foreign capital. End foreign trade and investment liberalization policies and laws extending extraordinary privileges to foreigners. Ensure that vital and strategic industries and utilities are under Filipino control. Institute safeguards against foreign investors’ use of dummies, shell corporations, and interlocking directorates. 1.10. Repeal the Mining Act of 1995. Pass the proposed People’ Mining Bill. Halt foreign and destructive mining. Make mining serve the country’s industrialization program and the needs of the people. Stop exporting raw mineral resources, develop the domestic processing of minerals, and build Filipino industries that can maximize the country’s mineral resources. 1.11. Uphold and promote “build Filipino, buy Filipino” policy. Take steps to enhance the industrial orientation and capacity of government, business, intellectuals, civil society and the mass movement. Cultivate a nationalist and patriotic culture. The public sector shall ensure adequate utilities, infrastructure and other needs of the industries. 1.12. Discard the globalization policy of unbridled import and investment liberalization and denationalization. Review IMF/WB/WTO agreements and terminate any and all impositions. Stop importing what we can locally produce and develop industries for import substitution. Allow only the importation of needed machines and inputs that are not yet being produced by local manufacturers. 1.13. Judiciously encourage and use foreign loans and investments to support the industrialization program. Take loans on systems of deferred payments that are based on the export of our manufactures. Annul previous odious debts, seek the rescheduling of the payment of old debts and even a moratorium on payments, especially on loans that are already overpaid. Seek new sources of loans from countries and blocs of countries that can also provide the initial technology and the long-term market. Require foreign and local investors to primarily secure their raw materials from local sources and to transfer technology to Filipino hands within ten to twenty years. Develop relations with the BRICS economic bloc and the BRICS Development Bank. 1.14. Move to lower the prices of electricity, water and oil. Stop and reverse the policies and laws on privatization and deregulation of power, water and oil industries. Reinstate step by step state ownership, subsidies, control and regulation of these vital industries. Remove value-added tax on oil/petroleum products, and electricity and distribution charges. 1.14.1.1. Repeal EPIRA and enact a new law that will restore the state’s role in power generation and regulation of the power industry. Rehabilitate Agus Pulangi dam. Abolish WESM. 1.14.1.2. Take steps to abrogate the onerous concession agreement with Maynilad and Manila Water. Implement the Supreme Court ruling against the practice of water companies to charge their income tax to consumers. Strengthen the role and regulatory power of MWSS and public local water utilities. Rescind privatization of Angat ang Laiban dams. 1.14.1.3. Scrap the Oil Industry Deregulation Law (RA 8479) and strengthen the hand of the state to protect the people from monopoly abuses. Pass pending bills to buy back Petron, restore price regulation and centralize purchase of crude from abroad. 1.15. Reorient science and technology to serve the industrialization and agricultural modernization program. 1.16. Ensure ecological balance and reverse the destructive effects of industrial processes to health and environment. Institute measures to protect renewable and non-renewable resources. 1.17. Scrap the labor-export policy. Gradually reduce the export of manpower as the state endeavors to build industries and create jobs. Encourage skilled workers and professionals to stay and contribute their knowledge and skills for the country’s development. Meantime, adequately protect the rights and welfare of overseas Filipinos especially against illegal trafficking, disadvantageous employment terms and abusive employees. Save Mary Jane and all Filipinos in distress. Allocate sufficient funding for OFS legal defense, emergency repatriation and other forms of assistance. 1.18. Ban labor contractualization and union busting. Amend the Labor Code to strengthen workers’ job security, collective bargaining and other union rights, humane working conditions. Promote the participation of workers in decision-making with regards to working conditions and production rules. 1.19. Enact a measure that will abolish the regional wage board and restore national minimum wage for workers and employees in the public and private sector. Increase wages and salaries substantially to cope with the rising cost of living. Implement progressive taxation and income tax exemption for workers/employees earning less than P30,000/month. 1.20. Pass pending bills to raise teachers and nurses’ entry salary to P25,000/month. 2.1. Implement land reform as a matter democratic right and social justice, as the foundation of economic development and as a method of liberating the landless tillers, releasing capital, promoting rural development and creating a domestic market. 2.2. Promulgate/legislate a new agrarian reform program with a campaign for farmers’ cooperativization and program to modernize agriculture. 2.3. Distribute free of charge to the tillers all lands owned and controlled by big landlords and idle public lands. Condone debts of farmer- beneficiaries to the Land Bank from previous land reform programs. Compensate landlords reasonably with at least half of payment in the form of industrial bonds invested in certain industries. This will ensure capital is released instantly for industrialization. 2.4. Distribute sullied lands without compensation. 2.5. Encourage and support the institution of cooperatives among land reform beneficiaries, poor and middle income farmers as transition from small-plot farming to large-scale and modern farming. The larger the established cooperatives, the better. Give highest priority to farmers’ cooperatives in constructing irrigation and farm-to-marker road projects, government loans and subsidies and education and technical assistance including subsidized sales or rental of tractors and other agricultural equipment. 2.6. Provide farmers with adequate extension and support services: production subsidies for farm inputs and technology; free irrigation; post-harvest facilities; and other rural infrastructure. Promote advanced agricultural technologies such as mechanization and the application of new methods through cooperative institutional arrangements. 2.7. Promote rural development by developing cooperative and integrating agriculture, animal husbandry, fishery, forestry, handicrafts and rural industries. 2.8. Curtail the policy of importation of agricultural products and restore subsidies and protection to farmers and fisherfolk. 2.9. 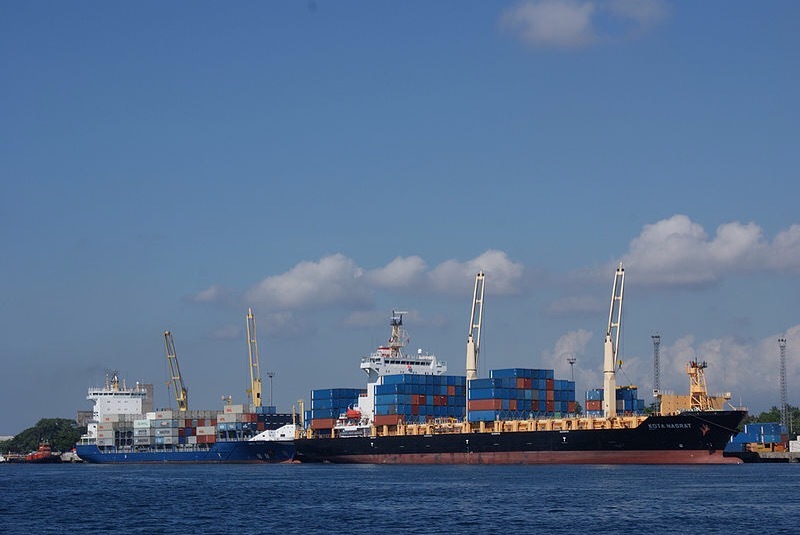 Enact measures to halt and reverse land use and crop conversions for export and commercial use to ensure adequate and affordable local food supply. 2.10. Protect the right of local fisher folk to fish in their municipal waters. Support the tuna handline fishing industry. 2.11. Pursue mechanization and modernization program to increase farmers’ productivity, ensure food security, adequate supply of needed consumer goods and raw materials for industries. 2.12. Prohibit exploitative practices such as usury, low wages, excessive profiteering in farm inputs and farm implements. 2.13. Draw up and promptly implement people-oriented rehabilitation plans for the victims of Yolanda, Ruby, Senyang and Pablo and other natural and man-made calamities in consultation with the disaster victims’ organizations. Discard the policy of no-dwelling zones and privatizing rehabilitation programs. Immediately provide P60,000 or higher amount of financial assistance to the victims. Build people’s homes and livelihood. 2.14. Set in place comprehensive disaster prevention, mitigation, preparedness, response and rehabilitation programs and infrastructures. 2.15. Protect and preserve the environment to ensure sustainable development. Curtail the destructive methods of mining, logging and quarrying. Heavily penalize companies that destroy ecology and sources of livelihood and pollute our land, water and air. 2.16. Call for climate change justice to make the industrialized countries apologize and equitably pay for causing global warming and climate change disasters in the Philippines and other affected countries. Adopt programs and measures for climate change adaptation and disaster mitigation and prevention. 3.1. Ensure the state’s full responsibility for providing basic social services such as housing, health, education and social security, special care for persons with disabilities, children and elderly. Stop and reverse the policy of privatization, PPP and commercialization public education, health, housing and other basic services. 3.2. Ensure adequate budget appropriations for education, health, housing and social security. Increase substantially the budget allotments for these services and strive to meet UN standards. 3.3. Provide bigger outlays for the public school system, the state college and universities and provide free education to the children of workers and peasants at all levels. 3.4. Redevelop the educational system towards a patriotic, scientific and mass-oriented public service and gear it to serve the needs of the program of industrialization and agricultural modernization. Stop/review the K to 12 program. Promptly resolve the shortages of teachers, classrooms, books, and facilities. 3.5. Expand and strengthen the public hospital and health care system to ensure comprehensive health services. Give emphasis to primary and preventive health care. Effectively combine Western and traditional medicine. Promote back-to-the-barrio program for health workers and professionals. 3.6. Implement subsidized mass housing program for the poor. 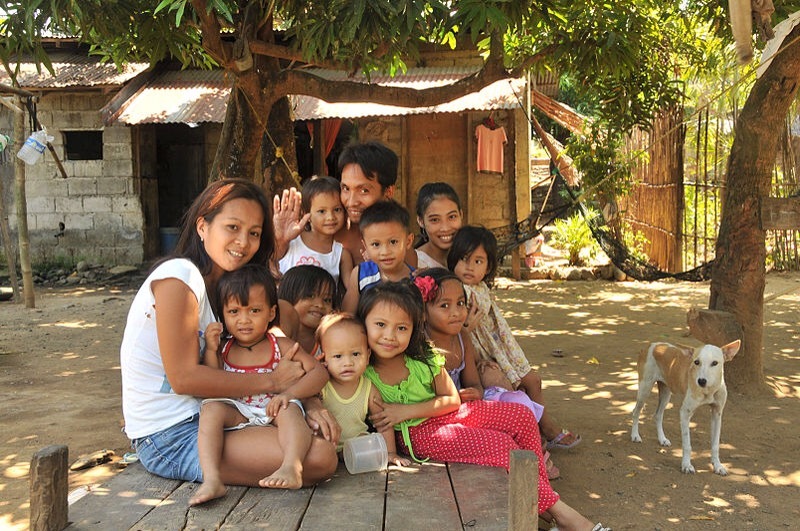 Halt commercialization of mass housing for the poor through community mortgage program. Stop demolitions of informal settlers and provide for onsite, near site and in-city relocation. Ensure adequate services, jobs and livelihood for the relocated or displaced families. 3.7. Immediately pass into law HB 5842 which grants P2,000 across the board pension hikes for all SSS pensioners and raise further the amount of minimum pension to cope with the rising cost of living. Ensure all indigent senior citizens are covered by the social pension fund. 3.8. Put in place programs and facilities that provide for the special needs of persons with disabilities, children and elderly. Set up as many daycare and homes for the elderly and PWDs as needed. 3.9. Fully implement the benefits of the expanded senior citizens act. Accord all senior citizens free movie day/s, the 20% discount and enact measures that will raise their social benefits. 3.10. Undertake plans to improve the management, operation and improvement of public utilities, like transport, power generation and distribution, and the like. 3.11. Revise or abrogate onerous and anomalous PPP projects and other contracts to foreign and local business groups that are disadvantageous to the government and the public especially those with sovereign guarantee provision. Take punitive measures against those responsible for mismanagement and deterioration of the public utilities and social services. 3.12. Establish an efficient mass public transit system. 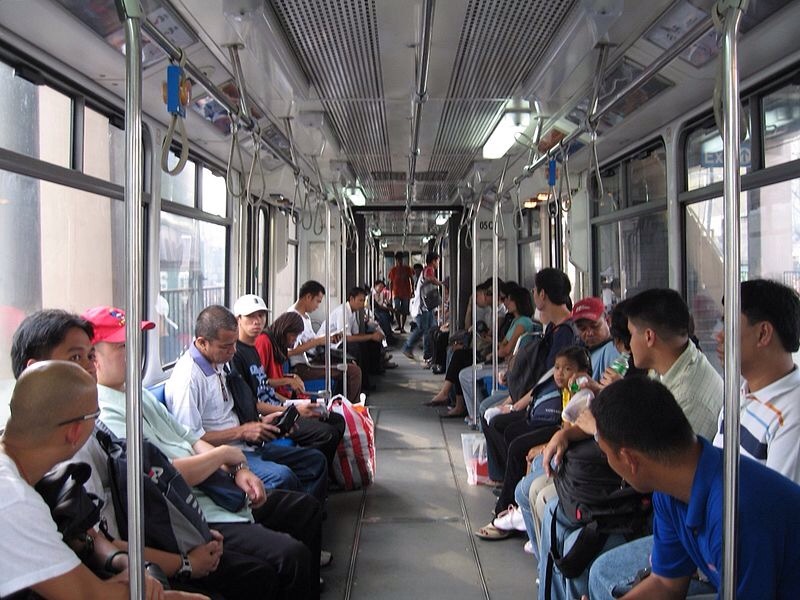 Prioritize the building of train, light rail and bus transportation systems. Scrap DOTC, LTFRB and LTO Joint Administrative Order (JAO) 2014-01 which imposes excessive and oppressive penalties against bus and jeepney operators. Gradually but substantially reduce the importation and registration of private cars. 4.1. 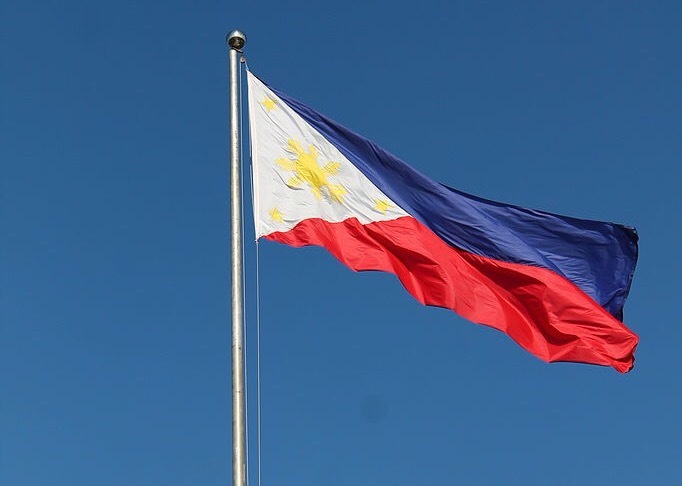 Uphold and protect at all times the country’s national sovereignty, territorial integrity and patrimony. 4.2. Review, renegotiate and terminate as necessary all treaties and agreements that are unconstitutional and carry unequal terms at the expense of the Filipino people including GATT-WTO, JPEPA, ASEAN Integration, MDT, VFA and EDCA. Amend or repeal domestic laws that embody such unequal terms. 4.3. Pursue an independent foreign policy that primarily fosters and defends our national sovereignty and territorial integrity, respects the sovereignty and territorial integrity of all nations, promotes mutual benefits and peaceful relations among all nations. 4.4. Maintain a position of independence, cooperation and international solidarity with all countries in order to promote peace and development and avert or cope with economic and financial crises of global proportions and prevent wars of aggression. Develop the closest relations with all neighbouring countries in East Asia for the purpose of peace and development. 4.5. Strictly enforce the Constitutional provision on national economy and patrimony. Review and if necessary revise executive issuances and laws that circumvent 60/40 local and foreign ownership sharing and other limitations on foreign ownership and activities. Institute strict regulatory mechanisms to guard against dummies, interlocking directorates and shell corporations. 4.6. Place all foreign capital under strict regulation and supervision with regards to employment, sources of capital, pricing, export of profit and export of capital. Focus on all forms of foreign speculative capital, export of capital in different forms including profit, royalties, franchises, transfer-pricing, and use of local capital. 4.7. Abrogate the Mutual Defense Treaty, Visiting Forces Agreement, Mutual Logistics Support Agreement and the Enhanced Defense Cooperation Agreement in consonance with our national sovereignty and territorial integrity and the constitutional prohibition of foreign military bases, troops and weapons of mass destruction (nuclear, biological, chemical, etc.). Disallow the stationing or basing of US and other foreign troops and armaments in the Philippines. 4.8. Firmly assert the Philippine’s exclusive economic zone and continental shelf based on UN Convention on the Laws of the Sea. Pursue in the UN arbitral tribunal the Philippine case against China’s baseless nine-dash-line territorial claim. Explore all options including multilateral and bilateral approaches, state-to-state and people-to-people relations, economic engagement. The Philippines binds itself to use peaceful means of holding on to what rightfully belongs to it, including prohibition of any economic and political activity by any hostile power or agents thereof inside Philippine territory. Take necessary steps to fortify our security position in the West Philippine Sea. 4.9. Strengthen the Philippine external defense capability by industrializing the economy, acquiring – and later on producing — the absolutely necessary armaments and equipment to modernize the AFP, and by mobilizing the people. We must not accept offers of protection by any foreign power only to become a protectorate, thus diminishing our national sovereignty, providing military bases for a foreign power and accepting military weapons not adequate or good enough for external defense. 4.10. Cherish and propagate the national language, revolutionary history and cultural heritage of the Filipino people as well as the languages and culture of various ethno-linguistic communities. Promote the culture of patriotism alongside propagating scientific and progressive culture and values in the fields of education, media, and the arts. Combat colonial, feudal, patriarchal and decadent mentality. Respect, preserve and enrich the many positive indigenous cultures, beliefs, languages and traditions as part of the Filipino culture. Respect the freedom of thought and belief and all other democratic freedoms. Foster the patriotic spirit of serving the people.Develop Filipino as the national language, English may be the second language but must not be the first in Philippine institutions and among the people. 5.1. Empower the poor and marginalized sectors and assert the will and interests of the majority of the Filipino people. Encourage and enable the full participation of the workers and peasants in the political life of the country. Establish mechanisms to ensure the people’s right to supervise and hold accountable all elected officials. 5.2. Enact measures that will reform the political and electoral system with the end view of giving the majority representation in government decision- making bodies to the workers, farmers, other marginalized sectors, professionals and patriotic businessmen. The electoral system should not be used to deceive and perpetuate the oppression and exploitation of the marginalized sectors. The current automated electoral system which allows pre-programming of results must be rejected. 5.3. Dismantle political dynasties by passing and implementing a law that prohibits two or more blood-and law-related individuals from alternately or simultaneously running for and holding elective positions at the national and local levels. 5.4. End the pork barrel system to prevent corruption through the collusion of legislators, executive officials and private entities. Channel government funds and savings that arise from the effective prevention of corruption towards economic development and social services. 5.5. Strictly carry out all existing laws against graft and corruption. Hold accountable and prosecute public officials and private individuals involved in the Mamasapano fiasco, illegal Disbursement Acceleration programs and all scams and anomalies on Priority Development Assistance Funds, Malampaya, PAGCOR, PCSO, BIR and Customs. 5.6. Combat graft and corruption by immediately plugging the loopholes in the budget and in the government bureaucracy. Prohibit all public officials and their close relatives and the corporations or any business organization to which they belong from benefiting from business privileges and transactions within their scope of authority. Investigate and charge in court corrupt and erring officials regardless of political affiliation and connections, including administration officials, allies, kamag-anak, kaibigan, at kapartido. 5.7. Pursue the peace negotiations between the government and the National Democratic Front to address the root causes of the armed conflict. Resume the formal talks in the GPH-NDFP peace negotiations upon the reaffirmation of all existing agreements and the certain compliance with the JASIG and CARHRIHL. Faithfully observe signed peace agreements like the Hague Declaration and the Joint Agreement for Safety and Immunity Guarantees (JASIG) and fully implement the Comprehensive Agreement on Respect for Human Rights and International Humanitarian Law (CARHRIHL). Release all political prisoners who are JASIG-protected as well as all of those who are accused of common crimes in violation of the CARHRIHL and the Hernandez political offense doctrine. Seriously consider the NDF proposal for a special track approach to immediately establish truce and cooperation on the basis of implementing a program for industrialization and land reform and commitment to genuine independence and people’s democracy. 5.8. Advance the peace process with the Moro Islamic Liberation Front to address the root causes of Moro rebellion and enable the Bangsa Moro to exercise their right to self-determination in the economic, political and cultural spheres. 5.9. Respect human rights in all circumstances and in all aspects—political, civil, economic, social and cultural, even under conditions of war, as required by International Humanitarian Law. End state-sponsored terrorism perpetrated by military, paramilitary and police forces against Filipino farmers, Lumad, Cordillerans and other indigenous peoples, workers, urban poor, women, youth, activitists and other civilians. Save the schools, communities and people of Mindanao from the ongoing and escalating state terrorism. 5.10. Ensure that justice is served for all victims of human rights violations. Expedite the investigation and prosecution of all pending cases of human rights violations. Stop the practice of giving special treatment to erring foreigners, public officials and officers and members of the government armed services; ensure they are tried and meted out appropriate penalties as any other Filipino citizen. Prohibit the criminalization of political offenses. 5.11. Recognize and respect the rights of the Cordillera, lumad/indigenous peoples/national minorities over their ancestral lands, self-determination and preservation of their culture. Ban all projects impinging on ancestral lands and threatening to displace IPs and other native residents. 5.12. Uphold women’s rights and ensure equal treatment and opportunities for them in economic, political and cultural spheres. Strictly implement laws penalizing violence against women (VAW). Institutionalize support mechanisms for victims of VAW. 5.13. Respect the rights of lesbians, gays, bisexuals and transgenders (LGBTs). Pass pending bills prohibiting discrimination against LGBTs. Enact measures to stop and penalize hate crimes against LGBTs. 5.14. Reorient the Armed Forces of the Philippines and the Philippine National Police to inculcate patriotism, professionalism, integrity in service and respect for human rights. Forbid the military and police from suppressing people’s legitimate struggles and political activities. 5.15. Wage series of campaigns to bust big-time drugs, robbery, kidnap-for-ransom, gambling, prostitution and human trafficking syndicates and their protectors in the government. Get the cooperation of barangays and communities for prompt reporting and prevention of crimes. 5.16. Ensure humane conditions in prisons and correctional facilities. Curb illegal and corrupt practices in food subsidies for detainees. 5.17. Pass the Freedom of Information law sans president’s executive privilege and the vague and overly broad exceptions. 5.18. Pass a law that strengthens the party-list system as exclusive for the marginalized and underrepresented sectors and prohibit rich and powerful parties or organizations from participating in the system. 5.19. Enact measures mandating workers, farmers, women and IP representation in local governments. Institute mechanisms to ensure that genuine people’s associations and organizations are involved in policy formulations at all levels of governance. 5.20. Fight electoral fraud and violence. Set in place Filipino IT provided automated election system that ensures private voting and public counting and with enough safeguards against election cheating. 6.1. Give top budgetary priorities to programs/projects for industrialization, agrarian reform, agricultural modernization, protection of the environment, basic social services, and salaries and benefits for government employees in the General Appropriations Acts. 6.2. Abolish pork barrel by promulgating a law that prohibits and penalizes appropriation, allocation and release of lump sum discretionary funds and by mandating line item budgeting and strict audit of regular and special funds. 6.3. Adopt debt relief measures including debt payment rescheduling and repudiation of onerous and fraudulent debts. Rechannel part of debt-servicing allocations to programs for industrialization, agricultural modernization and social services. 6.4. Reduce military, police and state security expenditures in order to increase the public funds and other resources for economic development and social services. We must not allow the US or any other power to draw us towards heavy military expenditures on the pretext of either internal or external defense. 6.5. Remove appropriations for CCT, PAMANA and other dole-outs. Rechannel these allotments to education, health and other social services. 6.6. Exempt from paying income tax workers whose monthly wages and salaries are below P30,000 and the minimum cost of living for a family of five. 6.7. Review and reform the present system of regressive taxation and introduce a progressive system that reduces tax burden on the poor and middle-income earners. 6.8. Make the tax system more progressive. Increase tax rates on corporate profits of large corporations, high-income individuals/families, luxury goods and services, wealth and property, and hot money financial transactions. This is the most rational and sustainable way of ensuring adequate resources for social services and the needs of the poor majority of Filipinos. 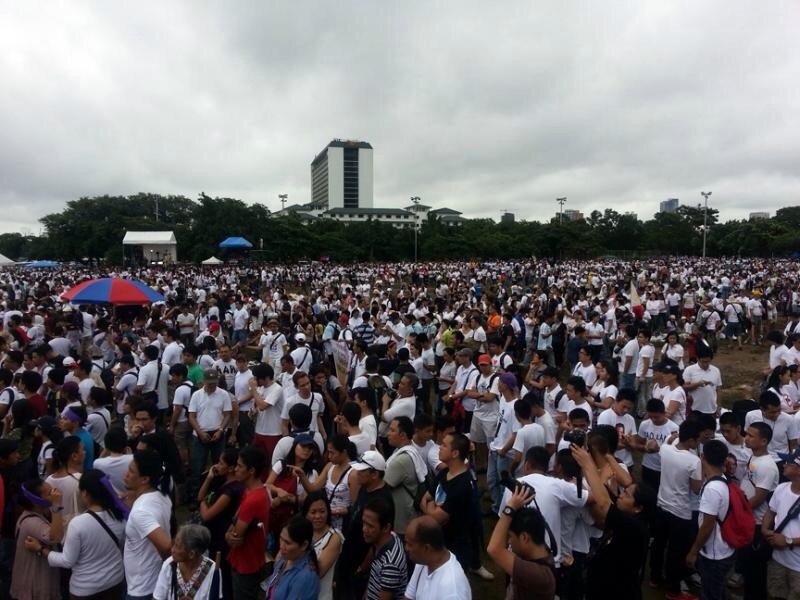 Except for the featured photo from Pinoy Weekly, all photos are from Wikimedia Commons.